Since their formation in 1993, Finland's Children of Bodom have woven various strains of heavy and extreme metal, melodic hooks, a flashy presentation, a healthy -- some would say excessive -- sense of humor, and the guitar pyrotechnics of lead guitarist Alexi Laiho into an instantly recognizable sound at once expansive yet difficult to pigeonhole. Beginning with their independently issued debut Something Wild on Spinefarm in 1997 (re-released by Nuclear Blast a year later) and underscored by an electrifying, wildly energetic, entertaining stage presence showcased on regional tours opening for acts such as Dimmu Borgir, word of mouth won the band a cult-like fanbase that grew exponentially in the ensuing years make them a global attraction. Several of their albums have charted inside the Top 100 on the pop charts, while six more have landed in the Top 20 at Hard Rock Albums list and on various other charts. 2003's Hate Crew Deathroll, delivered one an excellent example of their slice 'n' dice songwriting style, where grotesque, theatrical lyrics were jutxaposed with Laiho's richly combinative, shred-and-roll approach metal riffs and themes, simultaneously offered ample evidence of their instrumental prowess and a firmly tongue-in-cheek, nearly satirical approach to HM themes. 2004's Are You Dead Yet? and 2006's audio/visual package Chaos Ridden Years: Stockholm Knockout Live, were paramount in winning Laiho Metal Hammer's World's Best Guitarist designation for the year. 2008's Blooddrunk reached the Top 25, making it their highest-charting and best-selling album; its cover version of "Ghost Riders in the Sky" became a streaming hit. In 2013, Halo of Blood, was noteworthy for not only charting, but for reviews by several publications that claimed it might be the recording to take European death metal mainstream. Two years later, I Worship Chaos was released in a deluxe version that contained four covers including Bananarama's "Cruel Summer," the Plasmatics' "Mistress of Taboo," Kenny Loggins' "Danger Zone," and Amorphis's "Black Winter Day." They helped take the album to number one at home and into the upper half of the Top 200 in the States, while charting inside the Top 40 across the remainder of Europe. Founded by lifelong friends Alexi Laiho (guitar/vocals) and Jaska Raatikainen (drums), the band originally formed under the name Inearthed. Along with bassist Samuli Miettinen, Laiho and Raatikainen mined their love of classic death metal for inspiration, channeling the aggression of bands like Entombed and Obituary into their sound. Though he was Inearthed's primary songwriter, Miettinen's time in the band was cut short when his family moved to the United States. The band soldiered on, recruiting Henkka Seppälä as a replacement, as well as expanding the group's lineup with a second guitarist, Alexander Kuoppala, and keyboardist Janne Wirman. In 1997, after years of unsuccessfully courting labels with demo recordings, the band gained the attention of Belgian label Shiver, which signed the group with the intent to release its debut album, Something Wild. Inearthed quickly found their cup running over with interest when, right after they signed on with one label, a bigger label, Spinefarm Records, also became interested in the band. They eventually decided to go with Spinefarm, and changed their name from Inearthed to Children of Bodom (based on the Lake Bodom murders in their hometown of Espoo) so they could sign a new contract with the label, which eventually released their debut later that year. Things took off quickly for Children of Bodom, who entered into a relentless European touring and recording schedule that resulted in the quick release of their second album, Hatebreeder, in 1999 and their third album, Follow the Reaper, the next year. The group had a big year in 2003 when, after releasing Hate Crew Deathroll, it was named Finnish Band of the Year at the Finnish Music Awards. This was also the year of their first world tour, though the tour would prove to be a double-edged sword when, despite gaining them exposure in North America, it resulted in the unexpected departure of Kuoppala, who found himself growing tired of a life spent on the road. The band recruited guitarist Roope Latvala, who was already well-known as a founding member of Stone, to replace him, and continued to tour. Their next album, Are You Dead Yet?, arrived in 2005, though the touring was cut short after Laiho injured his shoulder a couple of years later, forcing the band off the road while the guitarist recovered. 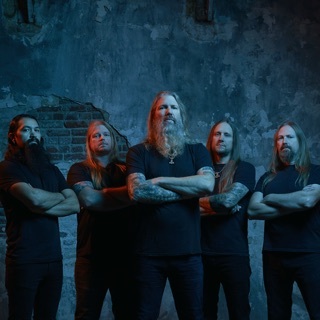 This didn't stop them from working on new material, however, and their sixth album, Blooddrunk, appeared in 2008, followed by Relentless, Reckless Forever in 2011, and Halo of Blood in 2013. The band supported the release by appearing on that year's Mayhem Festival tour with Rob Zombie, Amon Amarth, and Mastodon.